According to BT, 3.2 million ISDN (Integrated Services Digital Network) lines will be replaced over the next ten years with VoIP (Voice over Internet Protocol). Companies have the option of replacing their phone system with a cloud-based solution or retaining their phone system and replacing their ISDN lines with SIP. SIP (Session Initiation Protocol) is a protocol used in VoIP communications. SIP trunking is a standards-based replacement for traditional ISDN. It connects the PBX (Private Branch Exchange) to the PSTN (Public Switched Telephone Network) via broadband or private circuit. SIP is compatible with all the major PBX manufacturers. With SIP, physical trunks are replaced with virtual trunks called SIP trunks. When deciding how many SIP channels your customers need, ask how many simultaneous calls they need to make. Customers upgrading to SIP can save up to 40% on their phone bill. 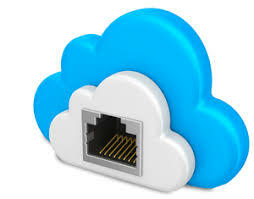 SIP is scalable, if you need more simultaneous calls, it is easy to add additional SIP channels. You can port existing numbers or choose new non-geographic numbers. By switching to SIP, platforms are hosted across multiple geographic locations, so if one data centre goes off line, the other will support the service. Support is available 24/7.